A moving manifesto from Lucinda (Co-founder and Head Hen at Moink) on behalf of Family Farms everywhere. “Did you know that only 2% of Americans are farmers? That puts us in the same class as endangered species. Being a farmer has its challenges no matter WHAT kind of farmer someone is – conventional, organic, row cropper, potato grower or chicken wrangler… doesn’t matter. At the end of the day, I am confident that all farmers strive for the same thing: To make an honest day’s pay for an honest day’s work and for a fair shake at making a go of farming. I don’t think that is too much to ask… do you? We don’t want government subsidies, but we do want an even playing field on which to compete, so please don’t allow them to be given to corporate giants. On average, if you added up our working hours, we make less than minimum wage, so please don’t haggle us on price. We are walking wikipedias on the topics of our trade, so please don’t think us intellectually inferior. If we cease to exist then you would be dependent on companies that are “too big to fail” for your food supply, and we all know that nothing is ever too big to fail. We are the family farm, and as such we ask you to stand with us. Stand with us as we fight to keep our land out of the hands of those who attempt to swindle us into less diversification in the name of efficiency, by purchasing products from farms produced in a wholistic and bio-dynamic way. Stand with us so we can have the freedom to plant non GMO crops and save our seeds without fear of retaliation, by opposing laws that allow companies to patent life and then sue us in the name of copyright infringement. Stand with us against those that would have us raise animals in deplorable conditions for the sake of a dollar, by refusing to buy meat from feedlots or confinement buildings. You are our customers, our neighbors, our countrymen, and above all else you are our fellow humans. All of us, together, can create a foundation that the next generation is proud to stand on. Together we can be keep our food system pure, and together we can leave this land better than we found it. 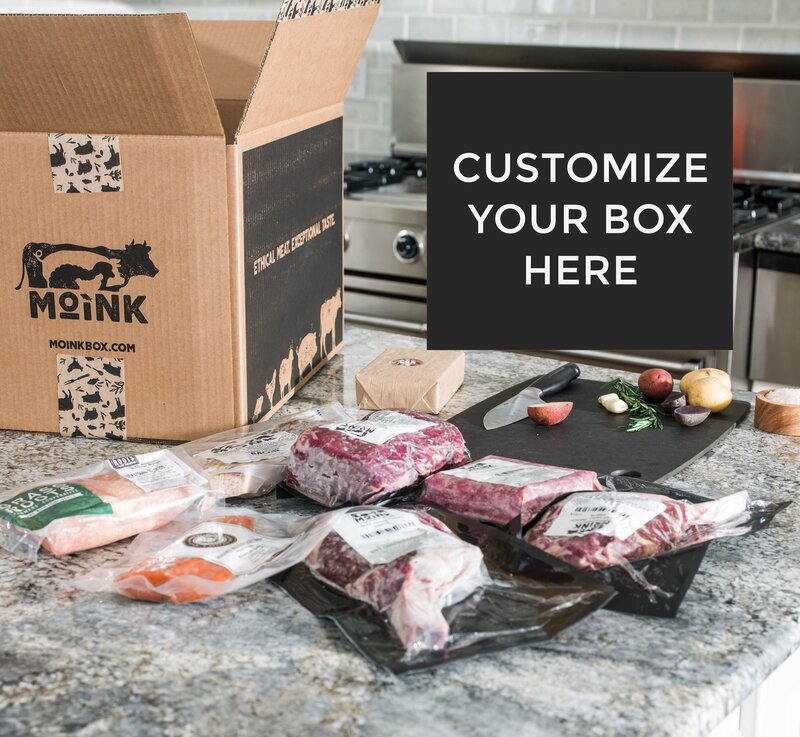 Join us, as we connect tender-hearted carnivores with high-quality, ethically-sourced and humanely-raised meat from small family farms. May I republish this essay, provided that I post the source URL? This message is so moving! I want to share it with city-dwellers who think that farm subsidies are helpful to family farmers, and with those who think subsidies are necessary to Big Ag. We’d be honored. Thank you! Let me just say first that I appreciate you all so very much. I’ve been buying meat from the grocery store all of my life and within the past 10 years or so I have noticed a “processed” quality to the beef, pork and chicken that my family has been consuming. This change has been unsavory to say the least, rubbery chicken, odd consistency to pork, dry tough stringy beef despite the many cooking methods that I’ve tried. It’s been so bad that I’ve actually considered becoming a Vegan (and I’m a die hard meat lover!) Even as a vegan I’d have to verify that the veggies are not fake food (gmo) I totally resent the fact that Big Ag is having us pay for food that is unnatural. I’m extremely concerned about genetically modified ingredients (which I’m sure are causing all kinds of diseases), meat that has been raised and slaughtered in cruel and stressful environments and food that is not nourishment, in fact it’s probably killing us. Thank you for offering us the opportunity to take control of what we consume and for taking the time, patience and effort to provide us with healthy, clean alternatives (it’s sad and terrifying to me that real farmed food has been relegated to “alternative” status) it should definitely be the other way around.